From Making Light. Its long with many links to other long articles, but its great. The Repubs are going to blame the coming debacle in Iraq on the Democrats. "See!" they're going to yell, "We had it all under control until those guys came along and messed up our plan!" That won't work. 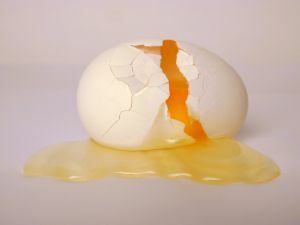 The Republicans dropped the egg; now it's broken and no amount of finger-pointing at the Democrats will relieve them of the responsibility for dropping it. Numerous reports from Bush's own security apparatus have revealed that we've screwed the pooch in Iraq. National Intelligence Estimates from last spring were giving bad news. Just like Hosni Mubarak had predicted before Bush started his war, the fighting in Iraq is creating, motivating, and training new terrorists; the war is decreasing America's security.